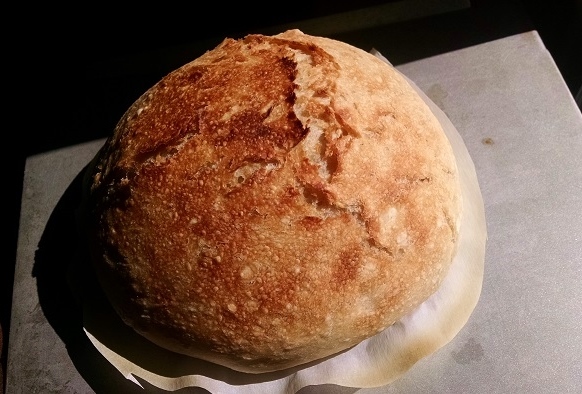 Some time ago, I did a post about making artisan bread and baking it in the oven. 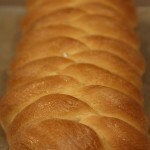 This time, I’ll be showing you how to bake a beautiful loaf of bread in your slow cooker. If you’re like me, you usually use your slow cooker for making meals like pot roast or chili, but did you know you can bake a lovely little loaf of bread too? You can! In a medium mixing bowl, combine the water, salt, and yeast. Mix well. Add the flour all at once and stir until well blended. Dough will be shaggy and look like a mess. Cover, leaving room for yeast gasses to escape. 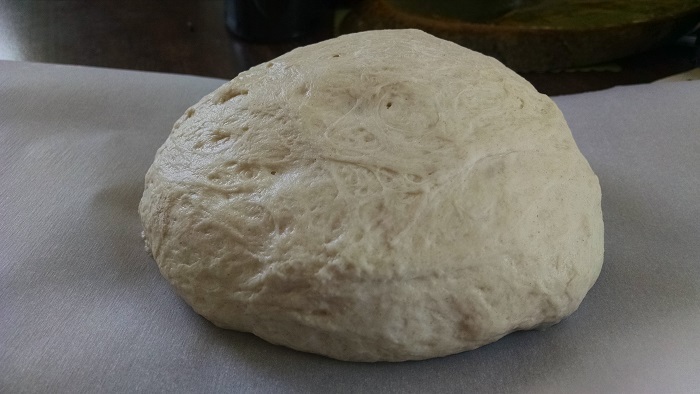 Let sit at room temperature for two hours to allow dough to rise. At the end of two hours, cover your bowl tightly with a lid or plastic wrap, and refrigerate for at least 2 hours. You can leave it in the fridge for as long as two weeks before using. When you’re ready to bake a loaf of bread, remove the bowl from the fridge. 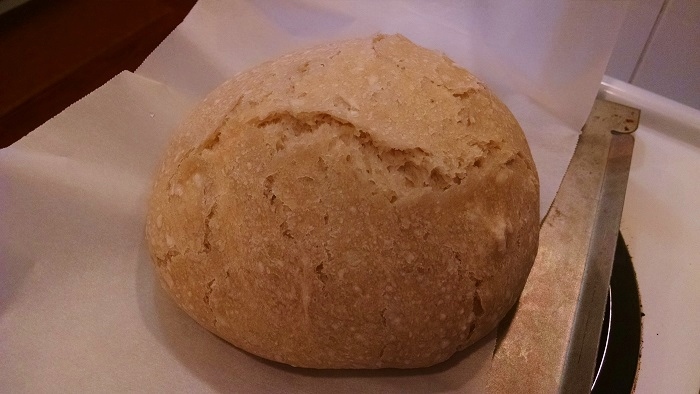 Uncover and with a knife, cut the pile of dough in half to make two – one pound piles of dough. Each of the piles will make a one pound loaf. Place a one foot length of parchment paper on your work surface. 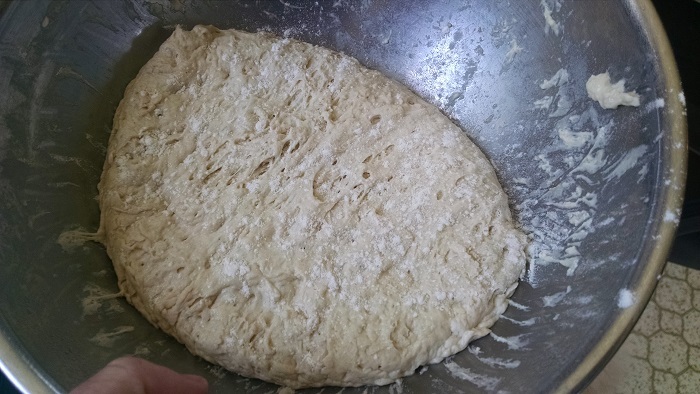 Using well floured hands, pick up one of the piles of dough and shape it into a little mound by turning the edges under all around. Here’s a good video showing how to shape the perfect little loaf. 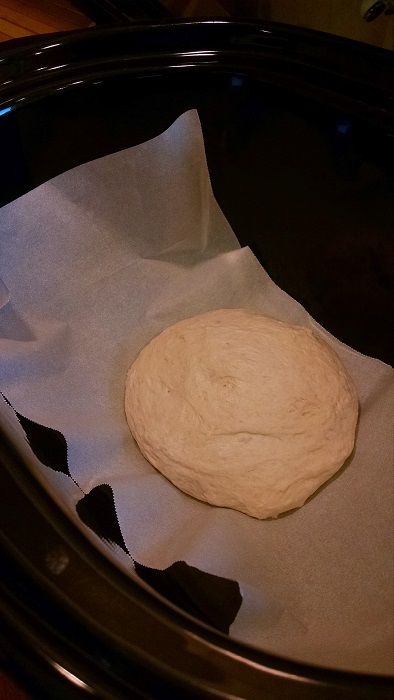 Place your little loaf onto the parchment paper. 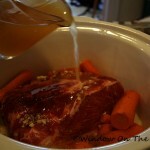 Get out your slow cooker, put the lid on and preheat on the HI setting for about 10 – 15 minutes. Remove the lid, and grasping the long edges of the parchment paper, lower the loaf into the center of the slow cooker. Replace the lid and bake for one hour, or until the surface of the loaf is firm when pressed with your finger. Since all slow cookers are different, your cooking time may vary, so it may be longer or shorter than an hour for you. Just keep an eye on it. Turn off slow cooker, and grasping the parchment paper edges, remove the loaf. The loaf is done, but if you would like a nice golden crust, just put the loaf on a small pan, trim the parchment paper around the loaf, and slip the pan into your oven under the broiler for a few minutes on the middle rack. Keep a close eye on it, and remove when it reaches the desired color. Let cool completely before slicing, and then wrap well for storing. And there you have it. It’s so easy. 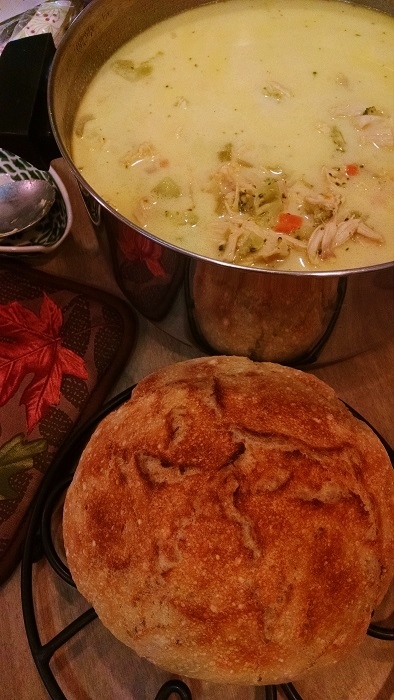 We had our loaf on Saturday evening with homemade chicken, broccoli and cheese soup. Remember, you can leave the remaining lump of dough in the fridge for up to two weeks before baking. Wow, that looks wonderful! I need to try that one. I like the idea of having enough dough for two loaves and not having to bake both at the same time. Got a recipe for the soup? The soup looks delicious too! When the temps drop, all I want are comfort foods. Got to it! Thanks, I have never heard of cooking bread in a slow cooker. This is brand new to me, but it certainly looks good, and I’m going to try it. The soup, too. We’re cooling off enough now that soup sounds good — and bread? My downfall — maybe even more than ice cream! Yummmmm!! I love it. Our bread maker died and we decided to not replace it because our kitchen is small. I do have a slow cooker. Can’t wait to try it. 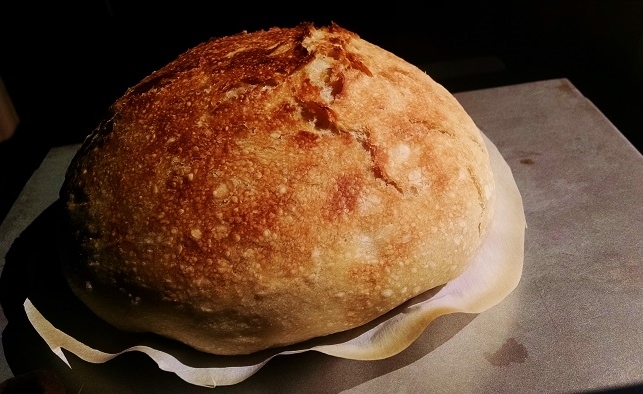 Do you know if any bread recipe will bake in a slow cooker? I’m trying to learn gluten free cooking and bread is a large part of that. 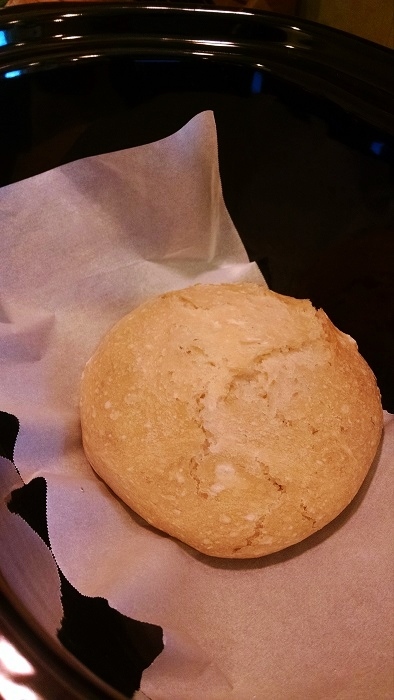 Since this was my first try at baking bread in a slow cooker, I don’t know a whole lot about it, but I’ll bet if you google “baking bread in a slow cooker”, you’ll come up with gobs of recipes. This looks wonderful! This will be a fun project. Can’t wait to try it! I love bread baking. 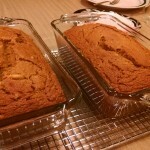 Your oatmeal molasses bread is almost identical to a recipe of my great grandmother’s. I use yours as it only makes 2 loves compare to 8 in the recipe that was passed down to me. 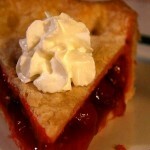 Thanks for continuing to post these great recipes and pictures. Perfect meal for fall! BTW, should the water be 1 1/2 cups (1/2 cup seems low)? You’re right! My mistake, a typo. I’ve fixed it. Thanks Susan! Many, many years ago as a young wife and mother my mother-in-law gave me a subscription to a newspaper, “Cappers Weekly”. I really enjoyed the stories and recipes the farm/ranch wives would send in to be published. Your blog reminds me of that newspaper. I look forward to your posts about your farm life and your wonderful down to earth recipes. Capper’s Weekly is no longer published. I look forward to your posts as much as I did receiving those weekly newspapers in my mailbox. Oh Thank you Dianne. What a nice complement!